If you want to chat on Facebook on your mobile phone, you’re probably using Facebook’s dedicated app, Messenger, and are required to have a Facebook account in order to talk to your friends. Facebook has done something radical today by dropping the requirement to have a Facebook account to be able to use their Messenger app. This huge move threatens to take on SMS and popular chatting apps on mobile platforms. 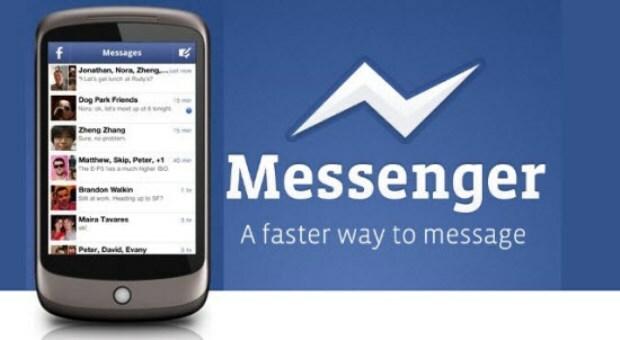 In the race to replace SMS messaging, Facebook did something never done before by the company on the Android platform. Taking a page from most of the other popular chatting apps on the Android platform, the requirement now to signup just includes your name and phone number. Offering a service without a Facebook account is a total first for the company who dominates the social networking space with over a billion users world wide. This offering to use Messages without a Facebook account puts Facebook in an interesting position that they either believe they will convert users to Facebook or are confident enough to think that Android users already have a Facebook account. To be noted, the new Messenger feature will begin in a hand full of countries including Australia, Indonesia, Venezuela, and South Africa. Facebook says that they will try to spread the service update as quick as they can bringing it to other countries. Facebook also claims that they will be bringing this feature to the iOS platform in the near future, but there is no final word. It’s obvious that Facebook wants people to consider the Messenger app as more than just a way to message your friends on Facebook, but their SMS app. If Facebook is able to convince enough users to use the new SMS Messenger features, we will quickly say goodbye to the current SMS-like apps.